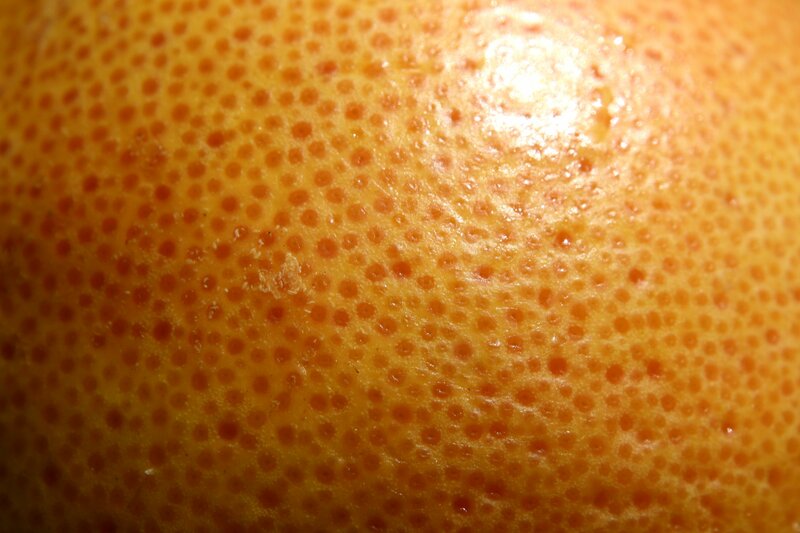 Free high resolution close up or macro photograph of the skin or rind of a ruby red grapefruit. You can see the texture of the yellow and orange grapefruit peel and the pattern of circles or dots, as well as the curve of the fruit with the light reflecting off of it. Great background image for a web page or blog, desktop wallpaper or texture for Photoshop. Free picture for any use.